Originally built in 1910, 20 wide and 50 deep building, this magnificent architectural masterpiece kept in triple mint condition highlights impeccable conditions with a renovation, three floor town house, some floors with 12 ceilings. Granite counter top in bathrooms and kitchen, stainless steel appliances, with 1,000 sqf of outdoor space. It offers historic prewar details with contemporary splendor. 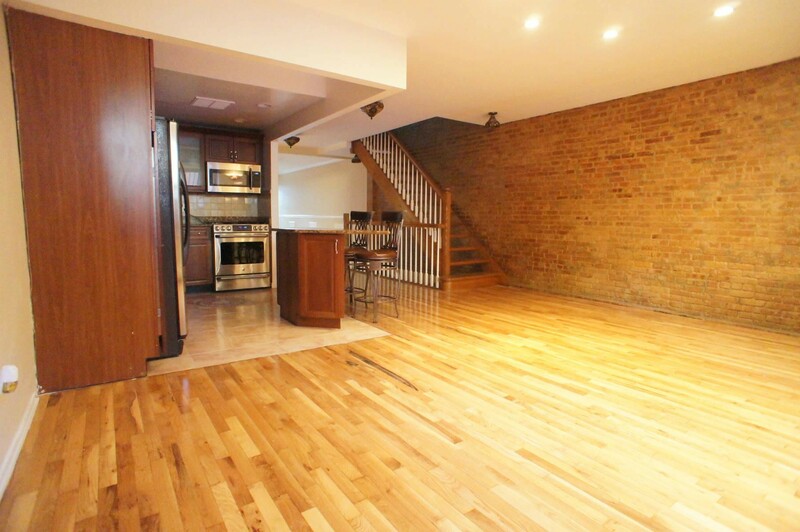 Half a blocks from the express trains and buses, great restaurants, bars, shops, and parks! Enjoy everything Harlem has to offer from Whole foods, Cheri, Red Rooster, Chez Lucienne,, to Mount Morris Park historic district around the corner, and the historic Apollo Theater! Call Angelo to view this great apartment! This is a deal you do not want to miss! Additional monthly utility fee of $255 will apply.